We believe every project demands safety, integrity, and skillful management of cost, schedule, and quality! CECO Pipeline Services is a respected pipeline contractor capable of construction projects and fabrication services both large and small. 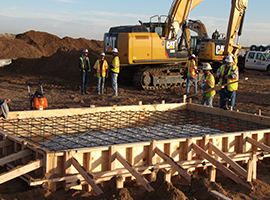 We have experience in all phases of pipeline construction regardless of the size of the project.